Fujifilm announces their latest development, a painless sheet of dissolvable tiny needles that may help you say goodbye to painful injections forever. Fujifilm described the dissolvable needles to be the biggest breakthrough, because unlike previous array methods, these needles will dissolve, rather than break off beneath the skin. The needles are not only painless, but are available in all sizes. Although the project is still in early stage clinical trials, Fujifilm expects human trials to start in late 2013. 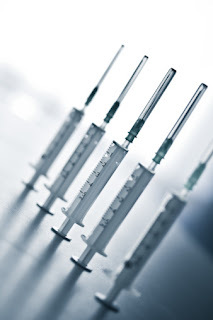 Results have proven to deliver the same, if not more antibodies than a regular injection. In terms of manufacturing, the firm is still developing the equipment and they're also searching for other pharma companies to discuss collaborating. Fujifilm is just one of the many companies seeking out pharma companies to collaborate with. In the ever evolving drug delivery technology world, it's important to maximize use of new technologies, all while thinking ahead of the game. With all of these opportunitues how do you know which is worthwhile? At the 17th annual Drug Delivery Partnerships we discuss how potential partners are springing up across various areas and pharma is taking advantage of this diversity. Attend the DDP event to experience how hundreds of pharmaceutical and drug delivery thought leaders come together to develop partnerships to create the next great product that will bring relief to millions of patients. To learn more about this event, download our brochure here.